All of this Hall and Oates mania leads to the new The Bird and the Bee album Interpreting the Masters Volume 1: A Tribute to Daryl Hall and John Oates (and from here on out abbreviated to Masters Volume 1). Masters Volume 1 presents a sincere batch of covers, each stamped with The Bird and the Bee's style via musical redesign. Nothing here is remixed or rearranged. And Inara George's vocals are true to the source material. She avoids some of the melodramatic octave jumps and wail built into the original "Maneater," too, which makes the song seem strangely more timeless. George keeps the entire album even keel, without any absurd vocal heroics. Instead, each of these covers feels nostalgic, but modernized. "Rich Girl," "Kiss On My List," and "Private Eyes" are all unmistakable and yet in a side-by-side listen with the originals these versions feel like new music. Greg Kurstin brings new layers of guitar work and some interesting keys and synthesizer that fill out negative space without being overbearing. Essentially, this album functions two ways. It reminds me of how much I remember these songs, and have a soft-spot for them (even if I was just a boy when they first released), but it also drives me to like them more. 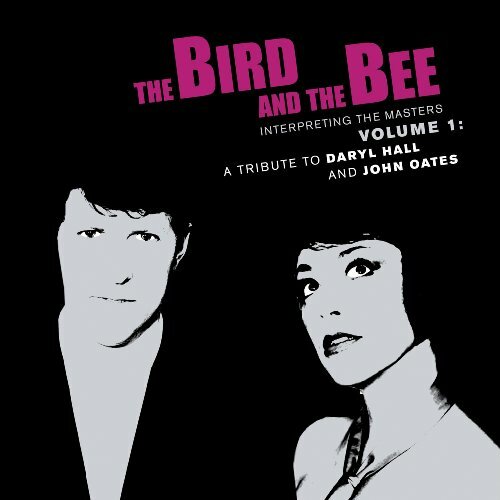 The Bird and the Bee don't do anything that is dangerous or wild with Masters Volume 1, but I don't want them to. These played-straight versions of classic songs reasserts that they are classics. We don't often think of Hall and Oates as a classic group/duo, but if a group's songs can translate and remain interesting over time, even if that requires a little boost/manipulation by current artists, doesn't that make it a classic? The songs musicians decide to cover, no matter how obscure, are songs with some inherent value. And Inara George and Greg Kurstin know that there is an audience of mid-20s to mid-30s (and well beyond each boundary) music aficionados who appreciate these pieces of pop archaeology, so here it is. But Masters Volume 1 has one original song, a stage-setter, which may be The Bird and the Bee's best. Opening the album is a perfectly-Hall and Oates-esque track called "Heard It On The Radio." It's a electro-pop masterpiece, that will surely catch on as a dance track or at least the sampled beat in some other club mix. But, it's a song about how we associate a certain point in time, a certain love, a certain memory, with a song we heard on the radio at the time. What more appropriate contribution could a band make to a cover album. "Heard It On The Radio" is like the primer track, it gets you in the mood, saying, "We're gonna play songs that remind us of that summer, that relationship, that road trip, that are surely going to remind you of important things too." And it's not at all heavy-handed, rather just a quality, enjoyable pop song before a list of classic quality, enjoyable pop songs. If you've had questions about The Bird and the Bee, don't question this album, just get it and enjoy it. And if you've had questions about Hall and Oates, re-read all of this, and then check out their Wikipedia page, and then go get this album. It's fun, and it might just take to on a journey you forgot you remembered.